EXECUTOR’S SALE-ABSOLUTE REAL ESTATE AUCTION | GAINES DICKENSON AUCTIONEERS, INC. EXECUTOR’S SALE-ABSOLUTE REAL ESTATE AUCTION – GAINES DICKENSON AUCTIONEERS, INC.
ABSOLUTE AUCTION-THE EVA ADKINS ESTATE-REAL ESTATE CONSISTING OF 119+/- ACRES INCLUDING A 4 BR, 4 BTH HOUSE AND NUMEROUS OUTBUILDINGS SELLING ABSOLUTE AT 12:00 NOON. ABSOLUTE AUCTION CONDUCTED OFF SITE AT THE DICKENSON COUNTY COURTHOUSE, MAIN ST, CLINTWOOD, VIRGINIA AT TUESDAY, DECEMBER 18, 12:00 NOON. TOTAL OF 119+/- ACRES IN 3 TRACTS SELLING TOGETHER AS A WHOLE. DON’T MISS THIS OPPORTUNITY TO PURCHASE ACREAGE SUITABLE FOR HUNTING, RECREATIONAL USE, ATV TRAILS, OR CULTIVATING. PROPERTY SELLS ABSOLUTE AUCTION DAY, BE PREPARED TO BID AND BUY. 53+/- ACRES INCLUDING A 4 BEDROOM, 4 BATH HOUSE WITH DETACHED DOUBLE GARAGE AND MULTIPLE OUT BUILDINGS INCORPORATING WOODLAND AND AGRICULTURE LAND ACCESSED ON 110 SWIMMING POOL LANE, COEBURN, VA. THE BOTTOM LAND USED FOR MEADOW CAN ONCE AGAIN BE A PRODUCTIVE TRACT. IDEAL FOR ATV TRAILS AND WEEKEND RETREAT. WELL PROVIDES WATER FOR HOUSE SITUATED ON THIS TRACT. PART OF TRACT 2 CROSSES RT 644 AND FOLLOWS THE CREEK BED FOR A SHORT DISTANCE. TAX MAP 4151 (190B-1258); 4150 (190B-2196); 4149 (190B-1238); 13650 (190B-1261); 4999 (190B-1262); 4148 (190B-1260). 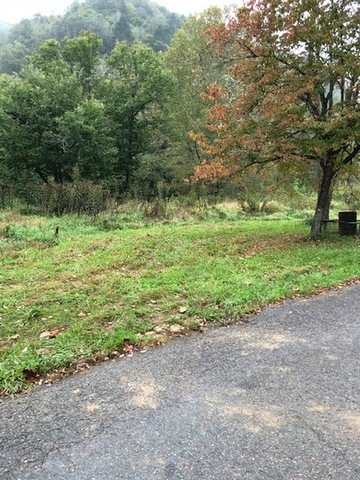 41+/- ACRES LOCATED ON RT 644 APPROX 1/2 MILE FROM SWIMMING POOL LANE ON THE COEBURN SIDE IS MOUNTAIN LAND WITH CREEK. ENTRANCE IS CLEARLY VISIBLE VIA A PAVED ENTRANCE INTO THE CREEK BED. IDEAL PROPERTY FOR RECREATION AND ATV TRAILS. TAX MAP 4145 (191A-1264); 4146 (191A-1263). 25+/- ACRES BY SURVEY LOCATED APPROXIMATELY 2.5 MILES ON RT 656 OFF RT 63. TAX MAP 3133 (149B-2398) KNOWN AS THE ROARING FORK, KISERS RIDGE SECTION. THESE TRACTS OFFER POSSIBLE RECREATION FOR TRAIL BIKES AND ATV’S. USE YOUR OWN IMAGINATION AS TO THE POSSIBILITIES. NO MINERAL RIGHTS ARE BEING CONVEYED. PURCHASER WILL BE REQUIRED TO SIGN A WAIVER TO CONDUCT A LEAD BASED PAINT INSPECTION ON STRUCTURES BUILT PRIOR TO DEC 1978(SEE FORM UNDER DOCUMENTS). 1. ALL THREE TRACTS SELL AS A WHOLE AT ABSOLUTE AUCTION ON TUESDAY, DECEMBER 18, 12:00 NOON. Five percent buyers premium will be added to the highest & final bid to constitute the final contract sale price. A ten percent non-refundable escrow deposit of the contract sale price is required by the end of the auction which will be applied to the contract sale price at closing. 2. All prior years real estate taxes including 2018 are the expense of the estate and shall be paid by the estate at closing if not previously paid. 3. No mineral rights are being conveyed. 4. The purchaser is responsible for inspecting the property being sold and accepts it in its’ present condition including any structures thereon, and does acknowledge that the property is being sold as is where is without warranty or guarantee either expressed or implied. Purchaser acknowledges the decision to purchase is based on his or her own assessment and due diligence of the property and is responsible for his own research in regard to location, condition, and suitability of purpose. The contract of purchase along with any exhibits, terms and conditions, announcements and any adendums made auction day shall be binding upon the purchaser and their respective heirs, administrators, executors, successors and assigns. 5. Possession at closing upon delivery of deed. 6. Property sells at ABSOLUTE AUCTION TO THE HIGHEST BIDDER. AUCTION CONDUCTED OFF SITE AT THE DICKENSON COUNTY COURTHOUSE, MAIN ST, CLINTWOOD, VA., TUESDAY, DECEMBER 18, 12:00 NOON. 7. The auctioneer and auction firms represent the estate in all transactions. 8. No sale of any property shall be invalidated by the purchaser as a result of not having conducted their own inspection prior to placing a bid or conducting due diligence. It is automatically acknowledged by placing a bid that the bidder has personally inspected the property, has hired an agent to inspect the property, or has waived the right to inspect the property. 9. Bidding and signing of the contract of purchase is not contingent upon the bidder obtaining financing. The bidder should have financial arrangements in place, if applicable, in order to close in a timely manner within the 30 day window. 10. Property is being sold subject to such conditions, reservations, rights-of-ways, and easements of record, including utility easements, to the extent they may lawfully apply to the property. County ordinances may apply. 11. Property is being sold by the boundary as per deed description. Information provided by the Dickenson County Real Estate Tax tickets. 12. No additional survey expense will be borne by the estate, or auction firms/auctioneer. Should purchaser desire a survey will be at his/her own expense and is in no way to delay closing. Should there be a discrepancy in the acreage either + or -, the sale price will not be adjusted in either direction and the sale price will stand as per contract of purchase. 13. There is a well located at the house on the 53 acres. This well also provides water for the adjoining house situated on the 2 acre tract owned by Tammy Huffman. The deed will include the right for the owner of the Huffman house to use the well along with a right to maintain and replace lines, etc and to share equally in the cost for replacement of the main components of the well between the owners. AUCTION WILL BE CONDUCTED OFF SITE AT THE DICKENSON COUNTY COURTHOUSE, MAIN STREET, CLINTWOOD, ON TUESDAY, DECEMBER 18, PROMPTLY AT 12:00 NOON. FROM COEBURN AT RITE AID, TAKE RT 72 NORTH FOR 1.6 MILES, TURN RIGHT ONTO TOMS CREEK (RT 652). GO 4.3 MILES TO TOP OF MOUNTAIN STAY STRAIGHT FOR ANOTHER 4.1 MILES, TURN LEFT ONTO FLAT TOP RD (RT 644). STAY ON RT 644 WHICH MAKES A LEFT TURN ONTO LITTLE CANEY RD. FOLLOW TO THE BOTTOM OF RT 644 APPROL 2.9 MILES TO THE AUCTION SITE OF 110 SWIMMING POOL LANE. FROM RT 63 BETWEEN FREEMONT AND CLINTWOOD AT THE 4-WAY, TAKE DC CANEY RIDGE RD (RT 637) AND CONTINUE APPROX 6 MILES ON DC CANEY RIDGE RD. TAKE RT 644 TO THE LEFT ONTO (LITTLE CANEY RD) APPROX 2 MILES TO THE AUCTION SITE ON THE LEFT AT 110 SWIMMING POOL LANE AND RT 644. ALL TRACTS WILL BE SOLD AT ABSOLUTE AUCTION OFF SITE AT THE DICKENSON COUNTY COURTHOUSE TOGETHER AS A WHOLE. WHEN PLACING A BID REMEMBER YOU ARE BIDDING ON THE HOUSE TRACT OF 53+/- AC, THE 41 +/- AC TRACT ON RT 644, AND THE 25 +/- ACRES ON ROARING FORK. THE WINNING BIDDER WILL OWN ALL THREE TRACTS.